Having a damaged or badly-shaped tooth is neither a pretty sight nor a comfortable feeling. It reduces the effectiveness of the tooth and takes away from the appearance of your smile. If you have a broken tooth, a porcelain crown may be the way to fix it. Porcelain crowns have both dental and cosmetic benefits, improving your tooth’s appearance and health. Not only do they look natural, but they are easier to install and will help you regain your smile. 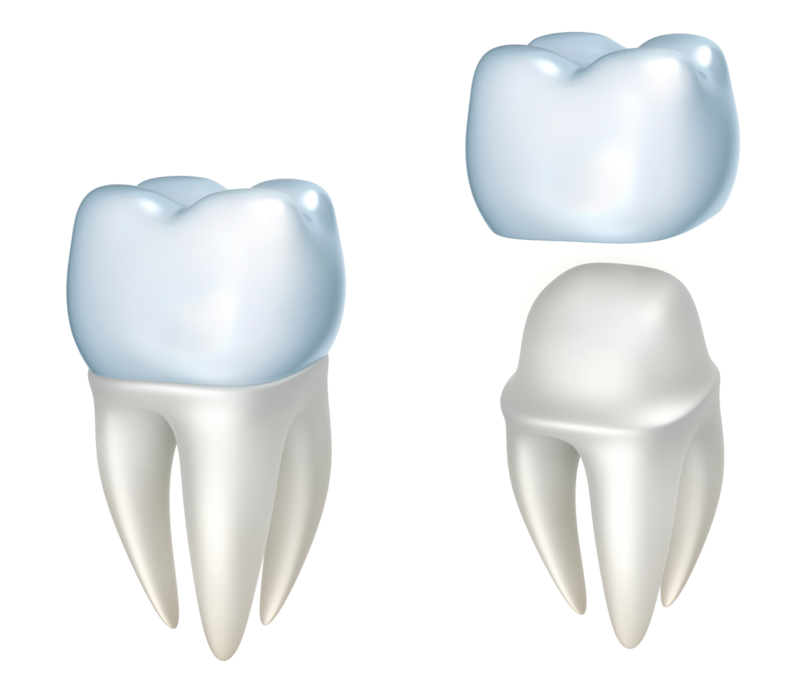 A crown is a custom-made cap that covers the entire tooth to restore its shape and size. These crowns provide added stability and strength to teeth that have been damaged or are decaying. These caps are made of porcelain. That porcelain is sculpted to resemble your tooth in its original shape, color, and function. It covers the affected part of your tooth while also replicating the natural shade of your teeth. A porcelain crown protects a weak tooth from decay or breakage, restores a broken tooth and supports a tooth with a large filling when only a little tooth is left. It can also hold a dental bridge in place or be used to make a cosmetic modification. Porcelain crowns contain ceramic material, which is almost as durable as natural tooth enamel, more so when restoring a front tooth. Porcelain crowns are strong and almost undetectable, lasting up to 15 years. You will need to make two visits to your dentist for a porcelain crown procedure. The first visit entails an examination and tooth preparation, to check the tooth’s roots with X-rays, to remove damaged areas, or to build up missing tooth structure along the way. During that visit, a temporary crown is installed while a dental lab manufactures the crown based on the X-ray impressions. During the second visit, your dentist will remove the temporary crown while checking the fit and color of the permanent one. Once approved, a local anesthetic will be used to numb the area around the tooth so that the permanent porcelain crown can be installed. As mentioned, a porcelain crown is durable and a more aesthetically-pleasing option to address broken or rotten teeth. Also, installing a porcelain crown may reduce sensitivity so you can eat, drink, or clean your teeth a bit easier. In comparison with other materials, porcelain crowns require a low level of maintenance. Consistent brushing and flossing are all that’s needed to keep your crown looking new, which is what you should provide to all of your teeth. You can enjoy your favorite food or drinks without worrying about staining your crown as porcelain is stain-resistant. A dentist can mold a porcelain crown to any size and shape, so you don’t even feel like you’re wearing a crown. Furthermore, any complications, such as tooth discomfort and sensitivity to temperature, are minimal.